One of the best things about vanlife is all the cool places you get to sleep. 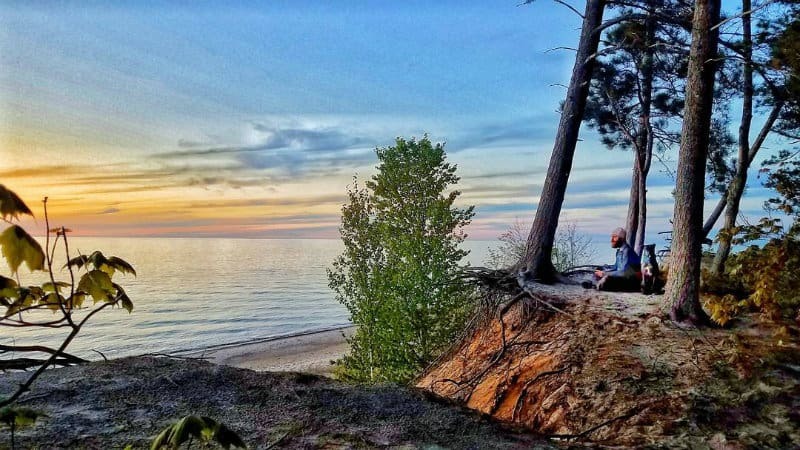 We spent this past weekend living in the woods on the coast of Lake Superior. It was unbelievably peaceful, and we could see the sun setting over the water through the trees. Safe to say, it’s one of the most beautiful places we’ve been in our short time on the road. As we sat there watching that sunset, we reflected on where we were and how we had gotten here. It’s been a crazy whirlwind of a year since we first decided to sell everything we owned and take the leap into vanlife. It’s been a lot of hard work – between finding the perfect van, unloading all of our stuff, and getting our house ready for renters – not to mention building the van itself. It’s surprising how tough it can be to make a lifestyle shift this big, but anything is possible with a lot of perseverance and a little bit of elbow grease. And we had the vanlife community helping us and inspiring us every step of the way. To document our own memories of this crazy-fun road we’re going down. We didn’t know anything about living in a van, or building a van, or vans in general when we started. 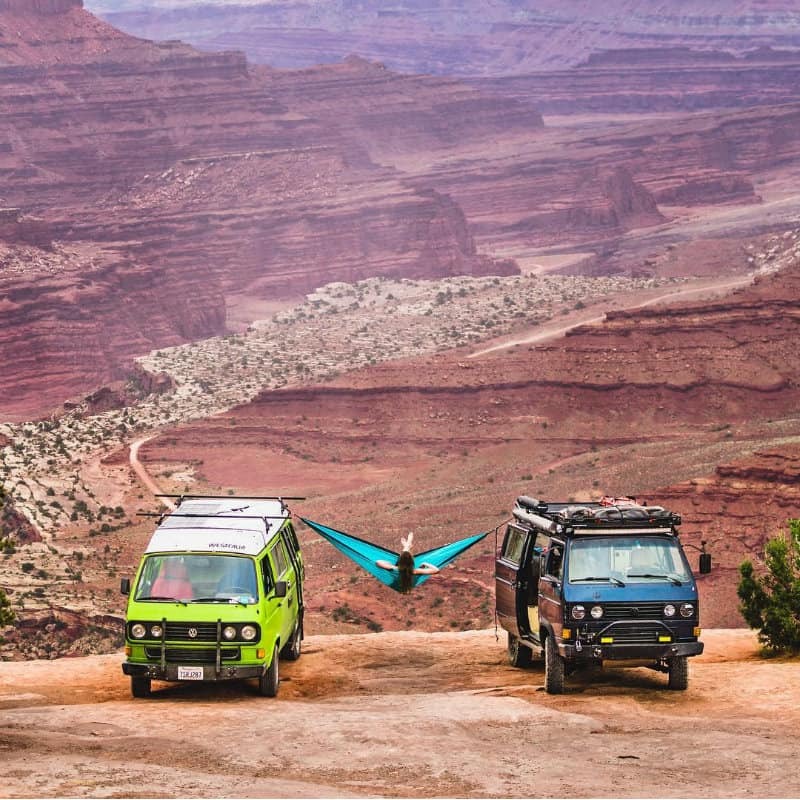 But we got our first taste of what it would be like by following awesome vanlifers on Instagram. People like @wheresmyofficenow, @idletheorybus, @josiahq, @vanlifediaries, @vanlifeideas, @vanofmydreams, @onechicktravels (and many more). They not only showed us how much fun vanlife could be, they also showed us how accessible it is for all of us. 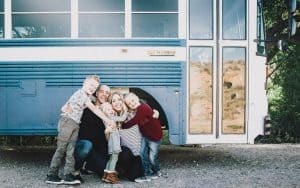 And they showed us firsthand that the vanlife movement is a real community – a nomadic community where everyone is in different locations, but a community nonetheless. We saw that people would meet up on the road and hang for a few nights. We saw that people would host official meetups – sometimes specifically for vanagons, more often for travelers of all kinds. We immediately recognized a strong sense of community that we were so excited to join. 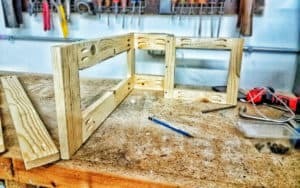 We thought it would take forever to become a part of it though, because we were just these noobs who hadn’t even built their van yet, and all these people that we follow on Instagram were almost like celebrities in our minds. 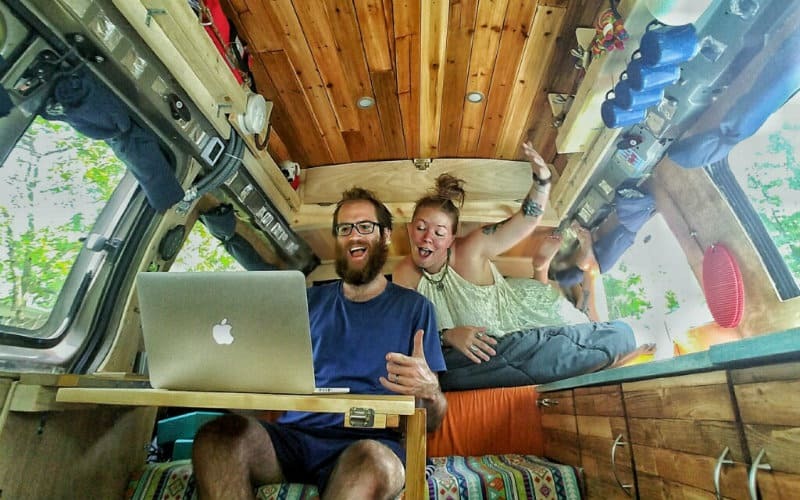 Corey and Emily of @wheresmyofficenow offer donation-based coaching to prospective vanlifers where they answer any questions you may have about living the vanlife. We contacted them figuring there was no way we would hear back – I mean they had well over 150k followers and are probably getting blown up frequently, plus no one had heard of us or anything. But how wrong we were. Shortly after we sent in the contact form, Corey reached out to us to set up a phone call. And he spent nearly two hours talking with us, answering all the questions we had from where to go, to essential tips that we never would have thought of, to having a dog on the road. He gave us a ton of useful information, and he also took the time to get to know us. 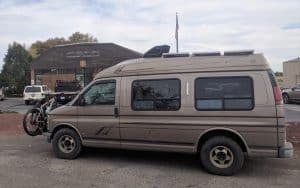 After that phone call, we really started to sense how powerful the vanlife community is. We’re all rooting for each other, and we all want to help. 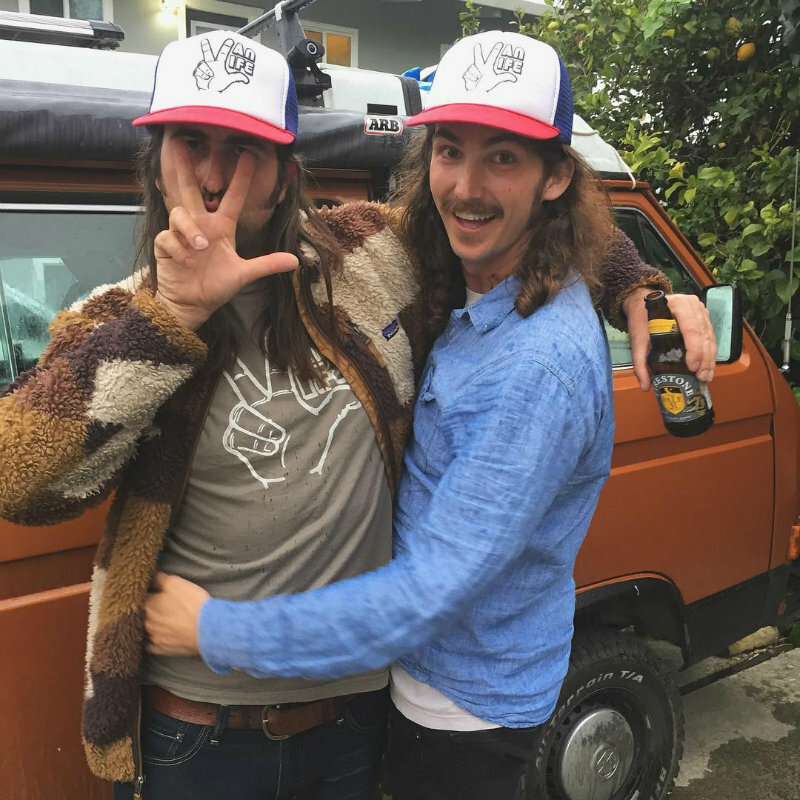 Then we decided to do a series on our blog – Gnomad Homies – so that we could get to know other vanlifers and share their stories. We love how everyone has such different rigs, different travel preferences and hobbies. One of the first people we reached out to was Kaya from @onechicktravels. She did not even hesitate to agree to Skype with us, and we ended up chatting for an hour. Not only did she answer all of our questions, but she also gave us a lot of tips and motivation to begin our vanlife journey. Next, we reached out to @josiahq, who opened his life to us via Skype (if you have not checked out his photography, we suggest you do so). We talked through our interview questions in about 30 minutes, but then he spent another hour giving us tips on good cameras for beginners, different side jobs to work on the road, great camping spots, and just telling us some really cool stories. He was so happy to help our transition from suburban life to vanlife. This barely scratches the surface of the people we’ve connected with, and there was one significant common denominator with all of them: they all really wanted to see other people succeed on the road and achieve the freedom and happiness they themselves had found. It was overwhelmingly beautiful to understand that all of these people from all walks of life, in all different vehicles, and scattered all across the globe, were a true and genuine community. There are so many of us starting our own companies, making our own products, preparing our own individual projects, and the community always rallies in support. There is Hawk with @vanofmydreams, killing it after starting up The Van Life Co selling dope hats, shirts, and other merchandise. There is @colinjoseph_, who draws up incredible custom illustrations of people’s vans. 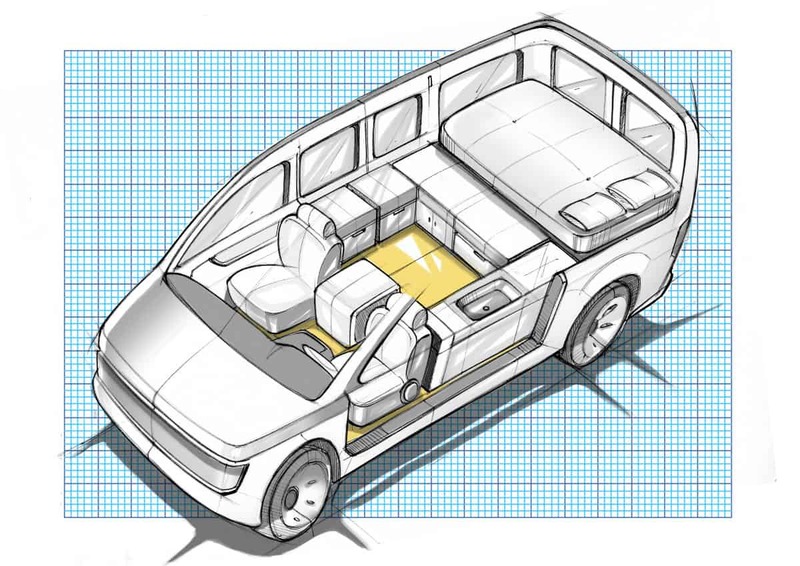 And now we have @vanlifediaries working on something truly incredible that we are very excited about. 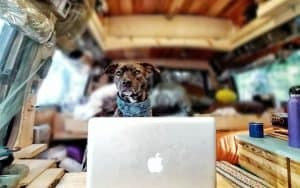 @vanlifediaries is working on a documentary about the vanlife movement called The Meaning of Vanlife. @vanlifediaries is based out of Australia, and they are currently traveling around the world filming awesome stories from the unique humans living this unbelievable lifestyle, and documenting the vibrant community we have all created together. 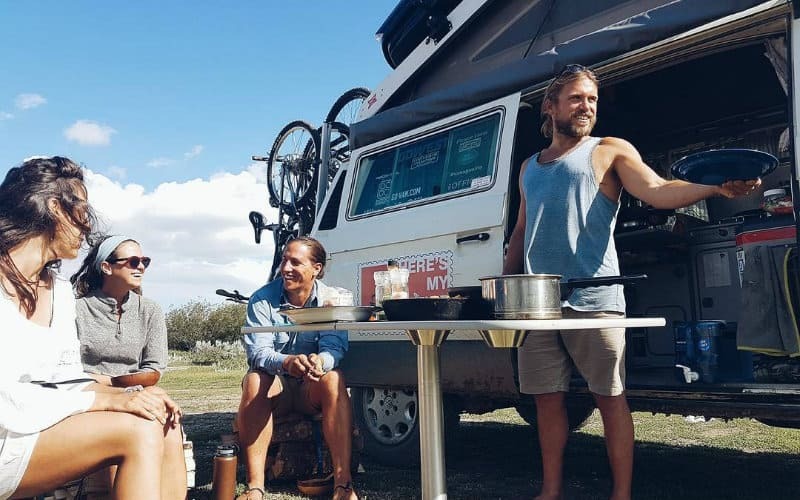 They are attending van meetups from one side of the globe to the other, encouraging vanlifers to come out, meet each other, and hear each other’s stories and experiences. But they need our help to get our stories out. We are a community and all, right? 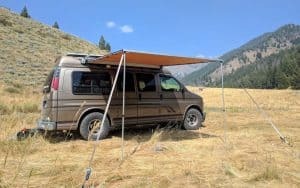 Whether you currently live the vanlife, or you dream of one day taking the leap, or you hate the idea of living in a van but want to support something beautiful, genuine, and incredibly unique – please visit their kickstarter page and support this amazing project. 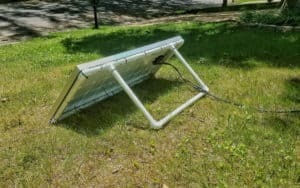 If everyone reading this contributed just $10, that would go a long way towards supporting this project and making it a reality. There is just over a week left to contribute, and they have some sweet perks for anyone who supports their efforts – everything from a copy of the film, to t-shirts, to your name in the credits, to custom van illustrations by @colinjoseph_, and much more! And because we believe in this lifestyle and this community and this project so strongly, we’ve decided to add our own little perk. Contribute at least $10 to The Meaning of Vanlife Kickstarter, send us your confirmation to gnomadhomegiveaway@gmail.com (or message us a screenshot on Instagram or on Facebook), and you’ll get a chance to win a FREE 1-hour Skype consultation and private van tour with us here at Gnomad Home. Every $10 you donate gets you one entry – so if you contribute $150 you’ll get 15 entries (plus a bunch of other cool stuff from the Kickstarter). 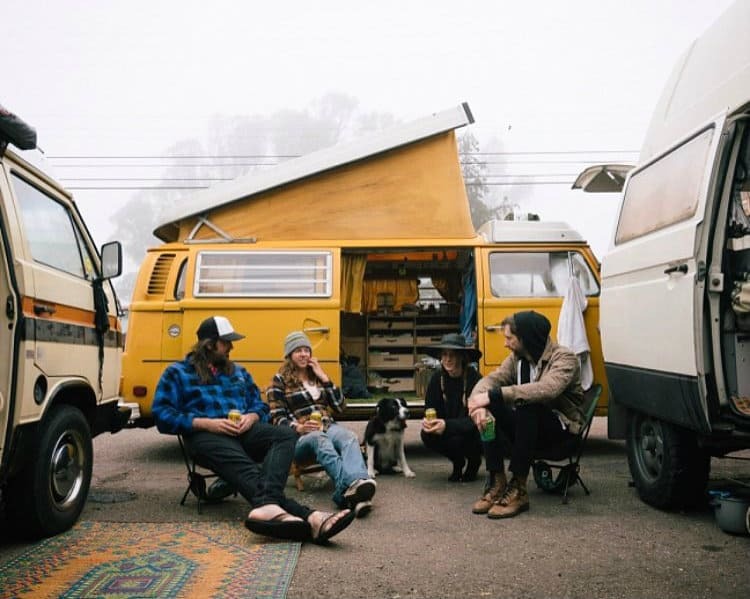 We’ll answer any questions you have about vanlife, including choosing a van, building a van, living in a van, and more. Really, ask us anything you want, from our favorite possessions, to our least favorite foods, to what van build materials we recommend, to the weirdest places we’ve had to poop. We’ll answer anything. 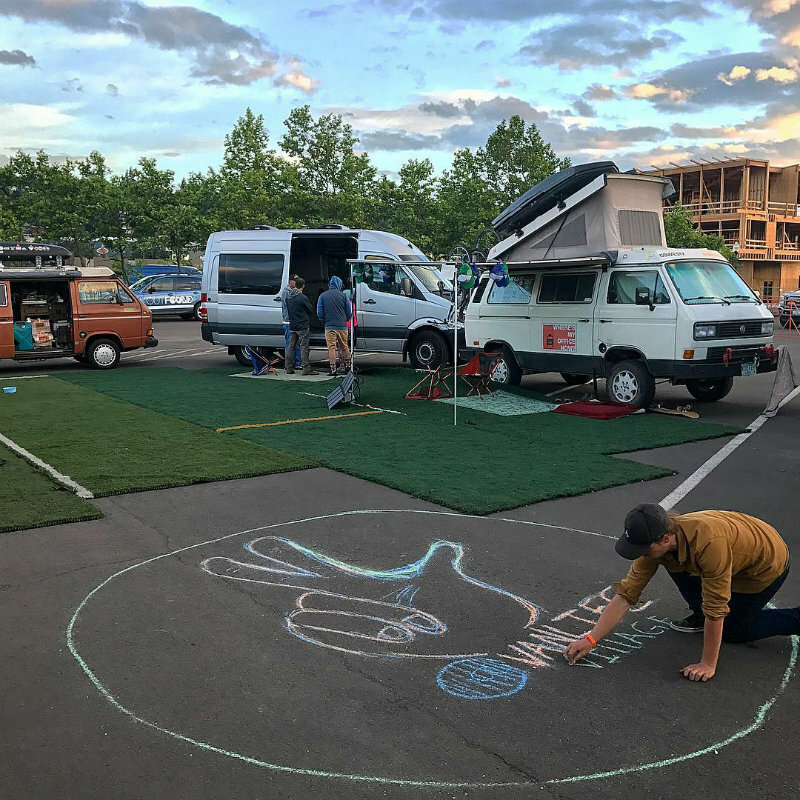 We love encouraging others to hit the road and showing everyone what the vanlife community is about. We feel truly blessed to live this lifestyle, to see all the beautiful things we see every day, to be all the incredible places we’ve been, and to be part of this remarkable community of nomads. For more musings, build guides, and vanlife tips, follow us on Instagram @gnomad_home and on Facebook. 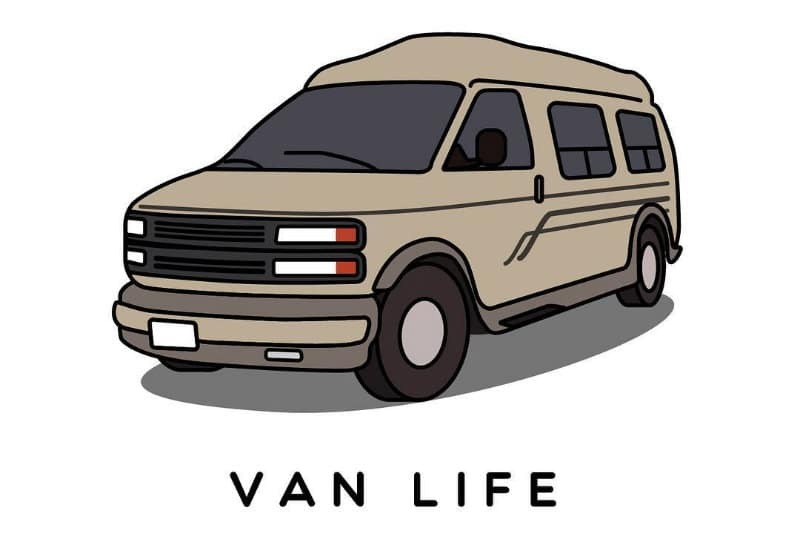 And don’t forget to support The Meaning of Vanlife Kickstarter! Cheers!